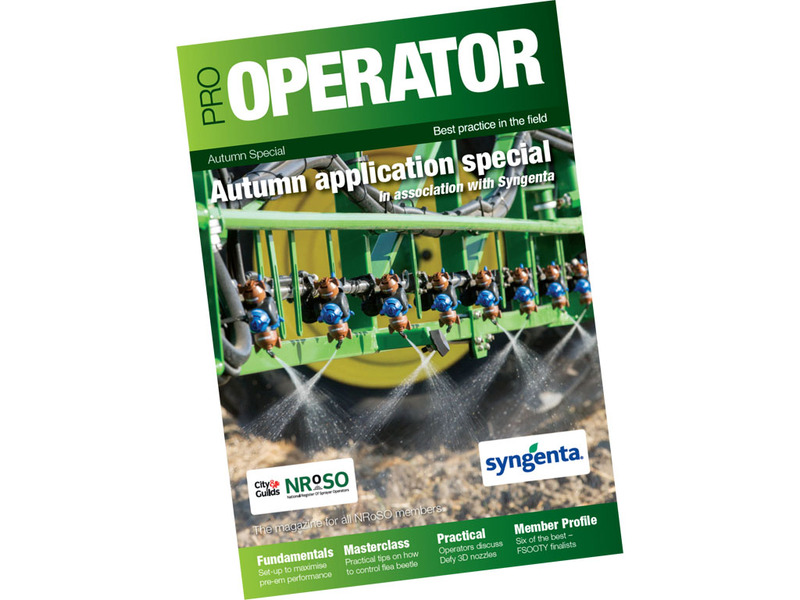 A new Autumn Application Special issue of Pro-Operator - the leading magazine for farm spray application - is packed with practical tips and advice to get the best possible results from every treatment this season. 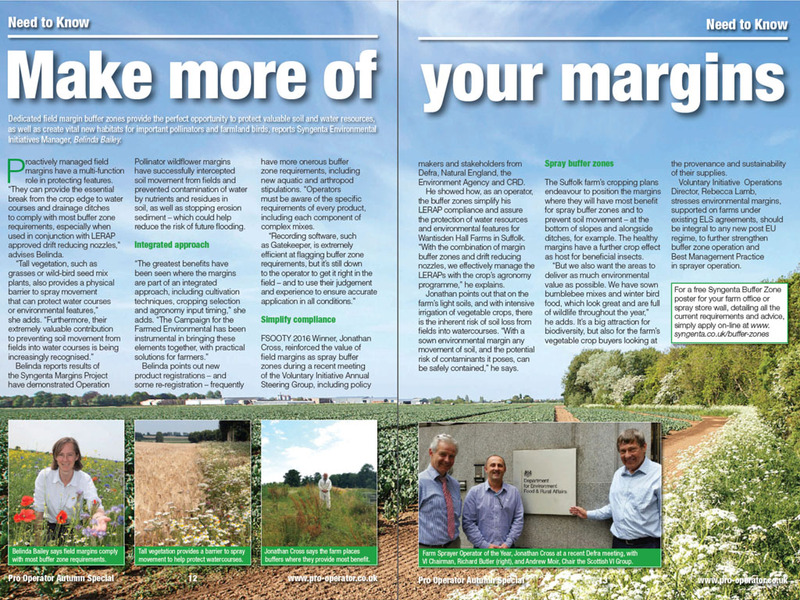 Syngenta Application Specialist, James Thomas, pinpointed the advice and tips shared by some of the UK's top operators would prove invaluble in raising the standards and results of everyone involved in farm spraying. 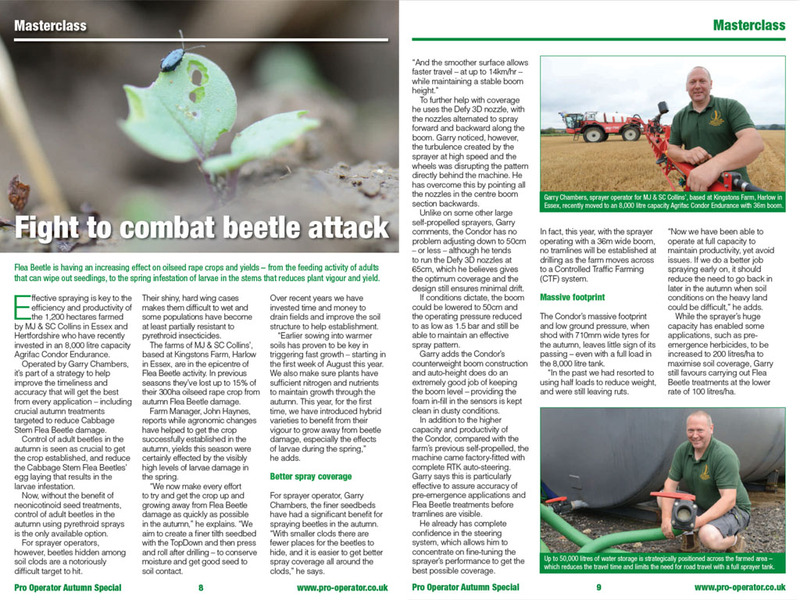 "Combining the skills of sprayer operators with new technologies and developments offers a step change in spraying accuracy and efficacy," advised James Thomas. 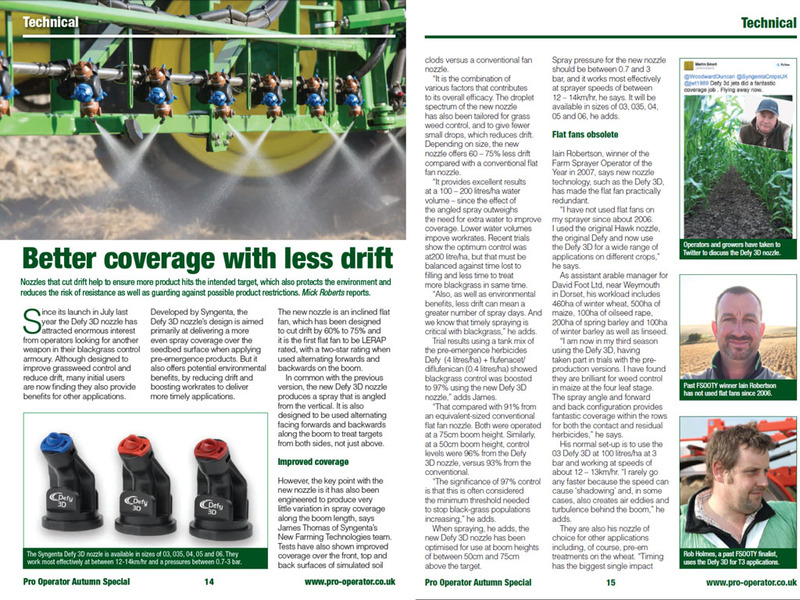 "We have been delighted to work with Pro-Operator, to ensure that every sprayer operator is aware of ways to imporve performance and to best maintain effective stewardship of product application"
In the issue Rebecca Lamb, Operations Director of the Voluntary Inititive outlined the essential role and importance of farm spray operators have in successfully managing and minimising the risk of drift. "Since coming to the Voluntary Initiative nothing has enthused me more than operators’ knowledge, dedication and passion for the outstanding job they do," highlighted Rebecca Lamb.